Hats were an instant passion upon learning the craft of millinery in a theatrical costuming course. Ever since then, I haven't been able to keep hats off my mind (or my head!). 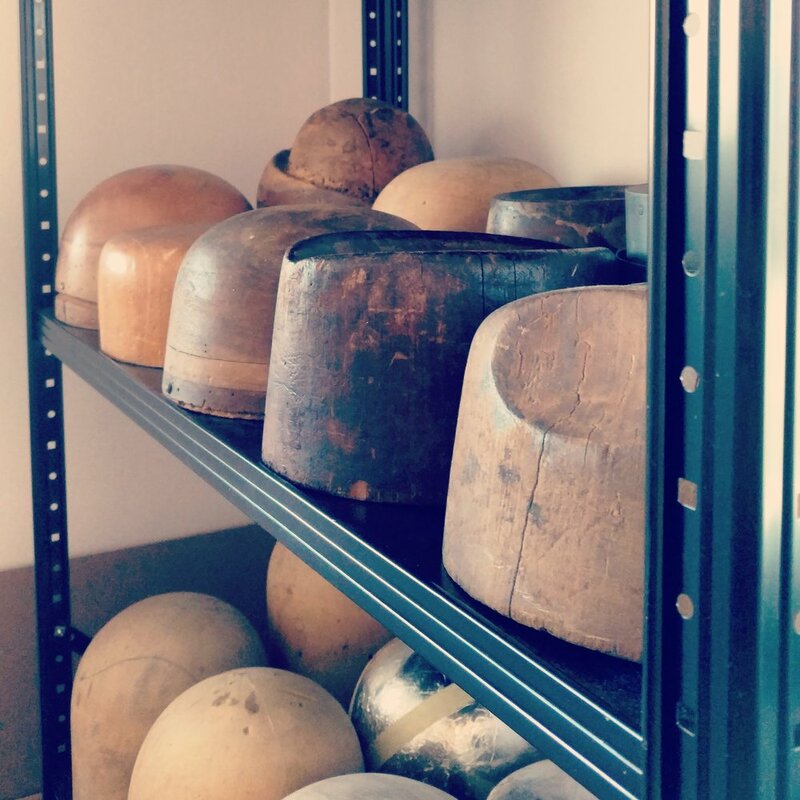 The most beautiful element of millinery, for me, is the history of the craft, and I keep the past close to heart while designing for the modern day. I use the same tools and techniques passed down from decades of artisans, while innovating a few new ones of my own. An eye for detail means that each hat I create is beautifully constructed and impeccably finished. The majority of my creations are one of a kind, as I combine new materials with unique and historic finds from flea markets, thrift stores, and attics all over the world. By incorporating old elements into new designs I help the past to live again, and create unique pieces with both a storied history and a bright future. 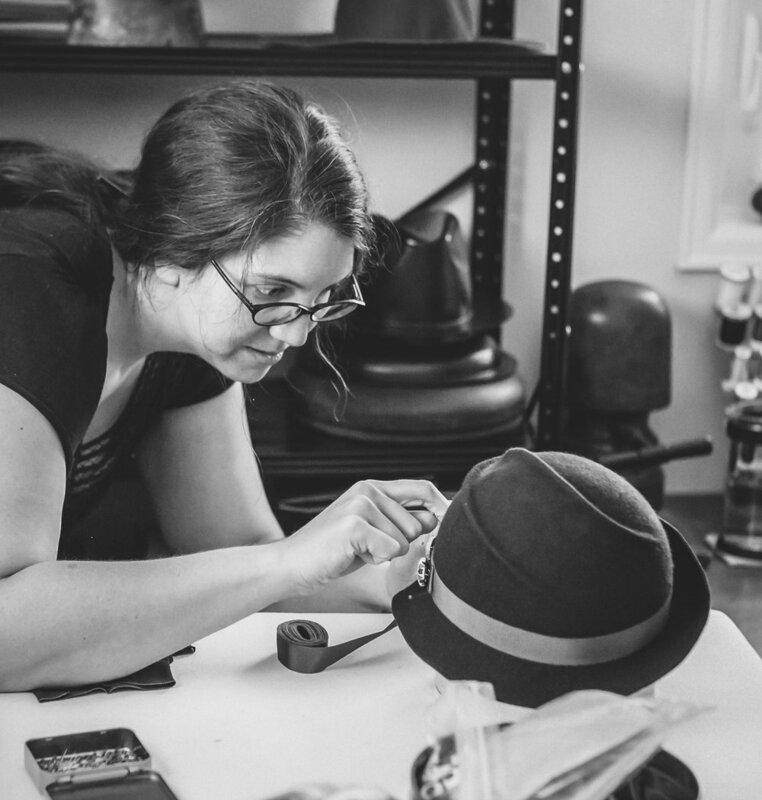 Allison has a bachelor's degree in Theatre from the University of Vermont and has worked in millinery and costuming for such organizations as St. Michael's College (Vermont) and the Colorado Shakespeare Festival. Her work has been seen from street to stage, in artisan events such as the One of a Kind Show Chicago (2013), and in theatrical productions from the LA Opera to a Broadway National Tour. She creates all her hats in her home studio in beautiful Colorado, USA.